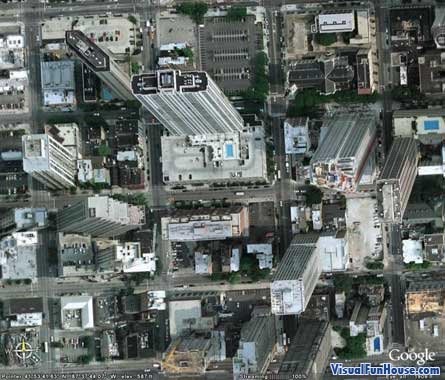 Google Earth was created buy taking satellite images of the earth and stitching them together. Some times when they get stitched anomalies will happen due to different camera angles, this Google Earth Leaning Tower Optical Illusion was created in just that way. The buildings have been photographed at slightly different angles giving the optical illusion of the towers leaning in different directions.